I need to know how to change DNS address in my Sony laptop powered by windows 7. Please explain how. Every thing can work well with IPv4 too. Check you Network settings, may be there is some problem with the Network adapter. Follow this process to make sure that the network aspect of the laptop is On and configured correctly. 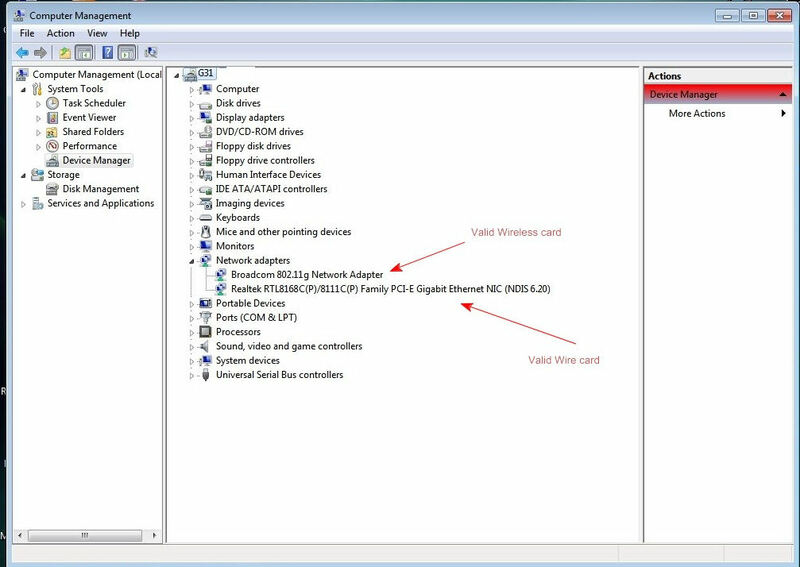 Check the Device Manager for valid Wire card entry. If there is No valid entry, delete any Bogus Entry, and re-install the Wire card's Drivers. Check the Network connections to make sure that you have a Local Area Connection Icon/Entry, and that the Properties of the Icon (right click on the Icon) are correctly configured with TCP/IPv4 protocol in the Network Connections Properties. Log to the Router's menu from a working computer and make sure that the DHCP is On and it is configured to assign IPs that can cover the number of computer that are connected (few more will be even better). Switch Off the computer and the Router, Reboot the Router, and the computer. Right click on the Wire card Network Connection, choose Status, Details, and see if it got an IP and the rest of the settings. Printer and Scanner should not be effected at all if they are not Network ready devices. Click on the network for which you want to change the DNS address. Under the DNS address tab, enter your new DNS address. Your DNS will be changed. we can explain the Domain Name System as that it serves as the phone book for the Internet by translating human-friendly computer hostnames into IP addresses. For example, the domain name www.example.comtranslates to the addresses 192.0.43.10 (IPv4) and 2620:0:2d0:200::10 (IPv6). Unlike a phone book, DNS can be quickly updated and these updates are distributed, allowing a service's location on the network to change without affecting the end users, who continue to use the same hostname. Users take advantage of this when they recite meaningful Uniform Resource Locators (URLs) and e-mail addresses without having to know how the computer actually locates the services. <STEP 3> Click on "Network and Sharing Center"
<STEP 4> click on "Change Adapter Setting"
<STEP 7> Click on "Internet Protocol version 4(TCP/ipv4)"